Does the Mission Have Too Many Restaurants? Curry Up Now is one of 38 restaurants to open on a nine-block stretch of Valencia since 2008. It’s 2:30 on a Monday afternoon and only two diners are enjoying the Indian-fusion street food at Curry Up Now, which opened on Valencia between 17th and 18th in February. Curry Up Now, which features tacos and burritos stuffed with Indian ingredients, is just one of 38 new restaurants that have opened on a nine-block stretch of Valencia in the last five years, an analysis of business licenses shows. Along with a streetscape facelift that, among other things, widened sidewalks three years ago, the rapid influx of eating and drinking establishments has visibly transformed the commercial corridor, leading some to ask whether Valencia has had its fill of restaurants. A march planned for Saturday will push for a restaurant moratorium and call attention to recent tenant evictions. But while some merchants echoed Horrocks, others said the issue of restaurant saturation was more complicated. Moreover, economists question the logic of saturation. Concerns over too many restaurants aren’t limited to Valencia, either. On the 12 blocks of 24th Street between Mission and Potrero, more than a third of the storefronts are dedicated to eating and drinking — well above the 25 percent recommended by the city’s General Plan. What effects do these establishments have on their neighbors? And what forces should determine how many restaurants are allowed? But interviews with managers at Harrington Galleries, Dog Eared Books and Therapy — all Valencia retailers — suggest otherwise. All say that foot traffic is up in their stores. “There’s a lot of people walking up and down the street digesting food or getting ready to eat,” says Dog Eared Books’ manager Alvin Orloff. But there are other factors driving the spike in rents, says Jorge Carcamo, a real estate broker whose office has been on Valencia since 1985. The Mission is an attractive neighborhood for affluent urban residents who are drawn to the area’s sunny weather, abundance of stately Victorian homes and the walkability of its streets. Both Carcamo and Moretti oppose a moratorium on new restaurants, but a moratorium is exactly what the merchants organizations want. Last year, Calle 24 teamed up with the Valencia merchants to push for a temporary moratorium on new restaurants — a move the two groups hope to revive as part of an anti-gentrification rally this Saturday. Supervisor Scott Wiener, whose district includes the west side of Valencia, was publicly skeptical of a moratorium, pointing to a similar measure on 24th Street in Noe Valley. 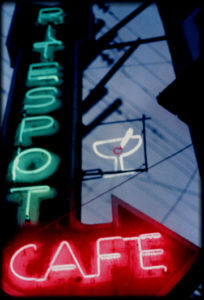 Enacted in 1987, it allowed new restaurants only if they were taking over a former restaurant space. “It was a major failure because it sort of turned that street into a less vibrant street than it could have been otherwise,” Moretti says. That moratorium was lifted in 2010. Instead, Wiener and Supervisor David Campos passed a measure in May requiring developers wanting to convert Valencia retail space to a restaurant to go through a conditional use permitting process. The process includes public hearings. A similar measure was already in play on 24th Street. But even before the conditional use requirement was implemented on Valencia, the flow of restaurants had slowed. In 2013, only four new restaurants opened, compared to 10 the year before. And conditional use could actually favor the large investor groups that the merchants organizations are trying to keep out, says Jasper Rubin, chair of urban studies at San Francisco State University and a former planner for the city’s Planning Department. “There is a chance that they’re more knowledgeable, that they can work the system, and that they have more resources,” he says. The whole process was a challenge for Michael Mauschbaugh. The 32-year-old Mission resident ran his French-inspired Sous Beurre Kitchen as a pop-up restaurant out of Sugarlump for two years before pursuing a permanent space. After looking around the Mission, he settled on combining two former retail spots on 24th Street near Potrero. It took Mauschbaugh five months to get through the conditional use permit process, and the young chef had to pay the rent all along. “It’s really [expletive] hard to get through everything,” he said. The two spaces Sous Beurre will take over when it opens this winter were vacant for years, Mauschbaugh says. Who knows how long they would have remained empty had a moratorium been in place. When Sous Beurre opens, restaurants will make up more than 36 percent of the store frontage on Lower 24th Street, well above the 25 percent recommended in the General Plan. And it’s not just the Mission. According to a report from Trulia that used 2010 Census Data, San Francisco has more restaurants per household than any other large metro area in the U.S. The report also showed that the city had the highest median real estate prices. He once tried to sell homemade sauerkraut. Now, Mark Kurlyandchik, a lifelong foodie from a Russian family of small business owners, writes about the business of food. He’s excited to explore how immigrant entrepreneurs influence the experience of eating in the Mission. these moratoriums and extra review cycles are so short sighted and destructive! Clearly advocated by people with limited understanding of the dynamics they are creating. They keep small businesses out, and end up favoring large investors because only they can take the risk of navigating the complex process. And, if there are “too many” restaurants, then they will go out of business. Its that simple. But, if they are successful, that is because there is a healthy demand for what they are selling. please stop these stupid demands — they endanger the neighborhood — we should be pushing to make it *easier* to open new businesses, not making it harder. If you want more “mom and pop” establishments, we need to remove rules and streamline the process! 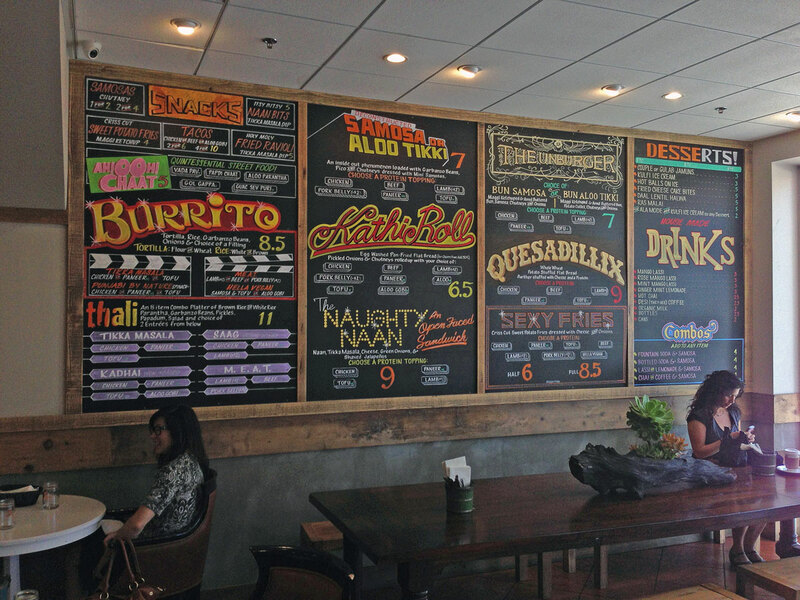 The influx of new restaurants has generally been a positive trend for the neighborhood. There are still many empty storefronts on 24th Street and Valencia Street, and restaurants really do enliven the neighborhood. If anything, there should be a moratorium on dollar stores on Mission Street, which close at 7pm and leave the real dead pockets in the evening and make the Miracle Mile a relative ghost town after dark. I suspect this is really a battle about [commercial] rent prices and parking — the eternal wedge issue in this town. Vacant storefronts are due to the astronomical rents now being asked that can only be paid for by social media-bubble restaurants. I try to shop locally but, apart from the occasional trip to the hardware store and Walgreens, food is the only thing I buy on a regular basis. I’m sure non-food brick-and-mortar retailers are having a hard time everywhere, not just the Mission. Valencia is one of my favorite streets to go to for this fact. The only place where Yelp is not needed – just take a stroll down the street and go wherever looks good! Still yet to try a very bad place, if they were that bad they wouldn’t be able to pay that expensive rent. I want a Chipotle restaurant in the Mission. Seriously though, what we need in the Mission are family/kid friendly restaurants. And I don’t mean fast food restaurants. All recent restaurants that have opened (which I’ve been to on date-nights) are targeted to adults. Most latino and chinese restaurants are somewhat “kid friendly,” but lack kids menus. We need a balance in the type of restaurants that are opening and the fare they serve. One of our reporters is actually working on a map of all the family-friendly restaurants in the Mission and their amenities (diaper-changing stations, high-chair availability, room for strollers, kid-friendly meals, etc.). So keep an eye out for that in the next few weeks. One criteria we use to identify a “family-friendly” restaurant is whether or not the owners are happy to see us when we walk in with our kids. I would say this is the most important criteria for us. Is it a place that is welcoming of families? We frequent places like Paprika, Sunrise, Fruitlandia, and more recently La Movida because we feel welcome there with our kids. Would be great if you could work that angle into your article. The American Grilled Cheese Kitchen on Harrison is great for kids. My husband and I love it for family meals. Uber kid-friendly. The restaurants are targeting adults because the lower prices they’d have to charge to draw families would not be enough to cover the astronomical rents. Rich internet singles and couples will pay through the nose for their food fetish. Most families are obviously on a budget. Food budget is the death knell for the Mission food fetish craze. Plus, there simply aren’t enough families left to warrant paying $12,000/month rent for a joint on Valencia or 24th. There aren’t enough families left precisely __because– of the economics which fosters $12,000/month commercial rent. But yeah, the high rent prices and the city’s permit process seems to dictate what establishments are able to open. I hate to be the one saying this, but if you want Chipotle, move to the suburbs. The city has done such an incredible job of maintaining local businesses, to suggest something like a Chipotle is absurd. You could say the same thing about McDonald’s and Burger King, and yet those are both right there on 16th and Mission. Now…Taco Bell…mmmm. Especially for da mission! I don’t need to move anywhere. There are already 10 Chipotle locations in SF. It’s just a matter of time one opens in the MIssion. Try L’s Cafe down on 24th. Super kid friendly. I bring my three year old daughter there fairly often. It’s a coffee shop…they serve food as well. “Why don’t we buy in and participate? This is America. My family goes again and again to Valencia thinking we will find a restaurant that is kid-friendly and affordable, and we always leave disappointed. Too chic, too fancy–it is so sad to see my SF go entirely to the rich. UGH. I love how you can afford to raise kids in San Francisco while complaining that the city is going to the rich. That’s gold! well actually there are lots of poor and middle income people who raise kids in the City. If one is able to navigate the public schools it is very possible (of course, it would be nice if the schools were better given all the tax money that is spent on them, but that is another story). Go to L’s Cafe way down on 24th. It’s open for lunch. The women who run the place are super kid friendly. I take my three year old there fairly often. Affordable Family friendly sit down restaurants – Panchitas on 16th btween valencia and mission, Chavas mission & 24th, Porto Alegre Valencia and 16th (has gotten a bit pricey, but still not bad) The Vietmamense place at 16th & Valenica. I’m sure there’s more. Having worked in the area for a few years, the problem isn’t so much that there’s too many restaurants as that there aren’t enough offices in the Mission. The lack of balance means the area empties out during the day. yes yes! we need more office space in the mission! That would really add to the energy and activity in the area! I’ve been hoping that the giant old theater being slowly renovated on mission street will get turned into office. That would be awesome for the street. If you’re referring to the Old Mission Theatre, that is slated to become condos and a movie theater/restaurant/bar. Don’t think office space is part of the plan at this point. Careful what you wish for… people tend to like living near their work. Next thing you know the city will be running WAY too many things passed you and your “approval board”. Why would anyone want to put an office in an area that smells like urine and has frequent muggings? Especially when the neighborhood is so blatantly hostile to pretty much all business. I would agree with this. I find so many of these new places shockingly mediocre. Recently I had a $10+ “Vietnamese Sandwich” at one of these places…and it was not even remotely as good as a $4 one you can get anywhere in the Tenderloin. Ya lost me on La Taqueria. Why even bother with those overpriced, flavorless tacos when there’s La Vallarta on 24th? Actually I think that SF is much better than NYC when it comes to food. so, basically it sounds like noone here supports a moratorium on new restaurants. Who actually does? Just existing business owners trying to keep competition out? noone else benefits from such a stupid policy…. David Campos does, because it makes him feel better that he can’t do anything about the real problems in the Mission. Campos is just trying to score political points to prep for his run for State Assembly. The guy never cared about the Mission (doesn’t he live in Bernal? ), he ran unopposed, did nothing, and got his resume piece to launch him into the next phase of his career. Sounds like a Merchant’s Association is trying to preclude others from doing exactly what they did; establish businesses in a free market. And all to keep their rent down. I wish people would quit dancing around the issue. The agitators want a racially/ethnically pure Mission. They’ve been fighting against white “yuppies” during the 90’s/00’s, fighting Asians during the Slanted Door protests, answered “Latinos don’t go to the gym” when they wanted to open a 24 Hour Fitness, and now they’re protesting white people food (Locals Corner) and fighting the “white buses” from Google filled with mostly white engineers. And when called on the blatant racial motivations, their only answer is “well now you know how we feel.” Eye-for-an-eye racism isn’t a sustainable social policy, it’s certainly not a sane housing policy, and in the end it only begets more hatred and in the end it will not win. What happened to the Burma Superstar that was to open on Valencia, near Duboce. Two years now the space has sat empty.